The influence and discussion of the term “1%” has become almost ubiquitous in today’s society. It has become synonymous with the ultra wealthy and the lavish lifestyles that they live. The influence of public opinion and media coverage has transformed “the 1%” from a factual threshold into a mere colloquial term. Since the beginning of print news, we have been exposed to not just the 1% of wealthiest Americans but rather the 1% of everything. Instead of being a source of jealousy and protest, “the 1%” should be a term for a goal that is attainable for the general public. When we talk about the 1%, we usually think about the 99th percentile of wealthy Americans; chances are that the when we read about the 1%, we think that we are excluded from that elite group. After all, by definition, only 1% of people can be included in that group. As a term that surged between 2011 and 2012, the idea of the 1% brought itself under the scrutiny of the public as media sources scrambled to explain what the 1% is and the “We are the 99%” movement as a whole (Google). The Economist explains that “the average household income of the 1% was $1.2 million in 2008, according to federal tax data.” When we look at the super-rich, it is important to analyze how we are affected both tangibly and intangibly. The 1% has already induced envy, anger, and protest across the United States, but what exactly defines the ultra rich? The 1% has become a term that has lost meaning through varied use and the connotation for the term may only associate it with the very top tier within the 1% itself. Upon further inspection, it may not be so hard to get into the true 1% after all. The Economist further explains that the average income for the 1% is mostly inflated by the super rich with dramatically higher incomes (usually the 1% of the 1%) so while the average income for the 1% as a whole is over $1 million, the cutoff point for the 99th percentile is actually around $380k; measuring by net worth, the starting point is around $6.9 million. Although this number may seem large, statistically speaking it is not that hard to catapult into the 1%. One in five Americans make it into the top 2% at some point in their life while one in eight will make it into the top one percent range for at least one year (Marketplace). Furthermore, the cutoff threshold for the top 1% can be even categorized by each state (Business Insider). Many people do not realize that there are “1%’s” almost everywhere that we look. The media essentially ingrained in our heads that whenever the 1% is mentioned, we immediately associate that term with wealth. If we redefine the 1% to dissociate it with wealth, we see a very different landscape. First of all, it is imperative to define the scope of the 1%. “The 1%” can be defined as broadly or as narrowly as possible. It may be defined as the 99th percentile of people who ride bikes ranked by skill or the top 1% of people who have participated in a bike race, the world famous Tour de France included. Of course not all people who ride bikes in the world are qualified to participate in a world class cycling competition; it may be that just being in the Tour can get you to into the list of the top 1% of all bike riders in the world. The same thing could be said for the NFL: just being in the NFL can put an athlete in the top 1% bracket above everybody else who plays football. A percentage is only relative to the scope that is defined. It is important to focus on the 1% as a whole, and not just the 1% of the 1%. As great as Michael Phelps may be as the most decorated Olympian in history, he is just one great swimmer in a pool of the world’s best but single-handedly receives the most media coverage and receives more attention than most of the rest of the swimmers combined but only represents an infinitely small fraction of professional swimmers in the world. Technology plays an integral role for distributing the 1% to the 99%. By using sites such as YouTube, we can have access to view many “1%’s.” Only 1% of the drivers in the world are ever as good as the legendary 4-time Formula One champion Sebastian Vettel (YouTube). In the same way only an incredibly small fraction of skiers are as daring as Matthias Giraud, who is featured on the GoPro YouTube channel. This is not a new phenomenon; ever since the arrival of news, whether it be print or electronic, people have been constantly learning about the people in the world that can only be at the very top of what they do best. Orville and Wilbur Wright made global headlines when they were the first people to complete the first powered flight in 1903 because they were the only ones that could do it (EyeWitness to History). If we refer back to the cycling example, we can all agree that if we consider all the amateur, enthusiast, and professional bike riders in the world, we can agree that we are essentially only exposed to only 1% of those cyclists, such as the ones who can navigate down a thousand steps during a time trial like Marcelo Gutierrez (Gizmodo). As aforementioned, the “1%” threshold can be categorized by state or by the country as a whole. But where does this line stop? As far as how the scope can be narrowed, it can scale from the entire world all the way down into the scope of your neighborhood or even just around the block. Simple qualifiers can narrow down the number of people in the world down very quickly; we should not focus on just the ultra-wealthy, but instead focus on everybody as a whole. It is known that not everybody in the 1% can afford to live glamorous lives; in fact, the media that solely focuses on the ultra rich even when the majority of the 1% live seemingly average lives. While the annual salary cutoff for the 1% may seem steep to many, an income that high is only as useful as the time period that one stays in that income bracket. Regarding statistics, one in eight Americans will make it to the top 1% for at least one year; this suggests that an even greater percentage of Americans fade in and out of that range for less than one year, increasing the chance that “average” people may be in that range at this moment. In sports, professional athletes rise up to the peak of their career and slowly drop out of the top 1% range as their careers taper off when they are past their prime and when new athletes appear in the competition. Although some names such as Usain Bolt and Michael Phelps may ring a bell as Olympic champions while other Olympic athletes such as Tyler McGill, an American who finished 7th in the men’s 100m butterfly in the finals of the 2012 Olympics, is almost unknown to the public due to the lack of media coverage. In fact, there is not much information out there available about McGill. A simple Google search for Tyler McGill returns a little over 800k results but a search for Michael Phelps returns over 54 million. Just because McGill did not win the gold medal does not necessarily mean that he is a bad swimmer, but the lack of media coverage definitely does not give him the credit he deserves for making it as far as he did (NY Times). Of all the 1% influences that we are exposed to, the “We are the 99%” movement’s rise to popularity only resulted from the category of wealth. In fact, the public is even more prone to be exposed to the “tip of the iceberg” when it comes to athletes as the media tends to focus all of its attention to the winners or the gold medal recipients of a sport. What we do not observe are people up in arms protesting to change public policy (in this case for athletic development). While we can have entertainment from watching world-class athletes compete on live television, we also receive entertainment from wealth-centered reality television shows such as Keeping Up with the Kardashians or a TV episode of The Fabulous Life of Filthy Rich Billionaires, of which the title speaks for itself. The difference is that people associate athletics with a skill and wealth as an item, of which it may or may not be transferable depending on the context. According to a survey, sixty-seven percent of high-net-worth Americans are self-made millionaires and only 8 percent inherited their wealth (Financial Advisor). Any episode of Shark Tank, a show where entrepreneurs pitch their business concepts and inventions in front of a panel of wealthy investors known as “sharks,” will seed the concept that much like athletic ability, entrepreneurship and success are the results of skills that can be learned and trained. Most “athletes” merely compete for fun on the local level but there are a very select group of professionals that make it to the Olympics and swim for their national team for competition; in the same way, we see the over-representation of the wealthiest 1% in the media and on television while most Americans in general live average lives. The same passion that fueled the “We are the 99%” movement should be the passion that drives the change in public policy to revolutionize education and to encourage entrepreneurship, in hopes of giving people the skills they need for a brighter future and a more equal America for all. Clark, Krissy. “Making It to the 1 Percent Is More Common than You Think.” Marketplace.org. American Public Media, 2 May 2014. Web. 03 Nov. 2014. “Google Trends – Web Search Interest – Worldwide, 2004 – Present.” Google Trends. N.p., n.d. Web. 03 Nov. 2014. <http://www.google.com/trends/explore#q=what%20is%20the%201%25>. Kiersz, Andy. 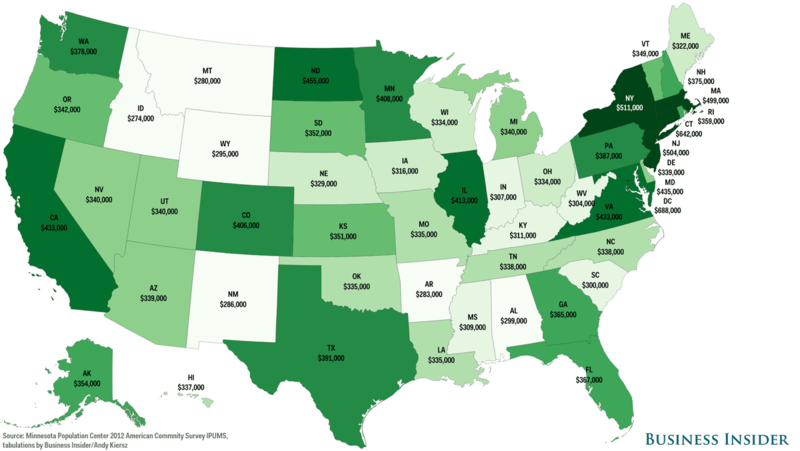 “Here’s How Much You Need To Make To Be In The Top 1% In Your State.” Business Insider. Business Insider, Inc, 22 Sept. 2014. Web. 03 Nov. 2014. Krugman, Paul. “We Are the 99.9%.” The New York Times. The New York Times, 24 Nov. 2011. Web. 30 Nov. 2014. “Most Millionaires Self-Made, Study Says.” Financial Advisor. Financial Advisor, 13 June 2013. Web. 30 Nov. 2014. <http://www.fa-mag.com/news/most-millionaires-self-made–study-says-14565.html>. “Swimming – Menʼs 100m Butterfly – London 2012 Olympics.” The New York Times. The New York Times Co., 3 Aug. 2012. Web. 03 Nov. 2014. “The Average NFL Player.” Bloomberg Business Week. Bloomberg, 27 Jan. 2011. Web. 30 Nov. 2014. “Who Exactly Are the 1%?” The Economist. The Economist Newspaper Limited, 21 Jan. 2012. Web. 03 Nov. 2014. “The Wright Brothers – First Flight, 1903.” EyeWitness to History. EyeWitness to History, 2003. Web. 02 Nov. 2014.